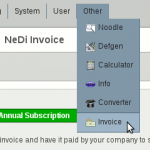 You can use Other-Invoice from your NeDi installation to generate an Invoice and submit to your purchasing department. 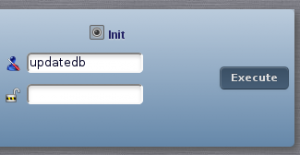 The information for wiretransfer (IBAN and SWIFT/BIC code) can be found on the bottom of it. Please contact us, if you want to buy services, to request a particular support level or if you just need an official offer/order for your purchasing process. We prefer (international) wiretransfers for payment. They’re even free within Europe. Alternatively you can use Credit-Cards here. Choose the amount you want to pay on the custom product or select a predefined subscription level. 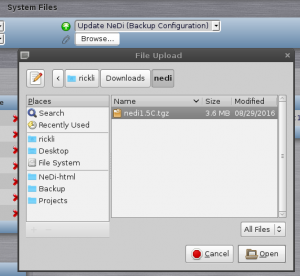 You need to get in touch with us, if you want to integrate NeDi in a commercial product! Apply patch3 for all options after installation!